Tomatoes contain vitamins A and C, mostly because of beta-carotene, and these act as an anti-oxidant, working to neutralize dangerous free radicals in the blood stream which cause cell damage. Tomatoes also have plenty of the mineral chromium, which helps diabetics to keep their blood sugar level under control. 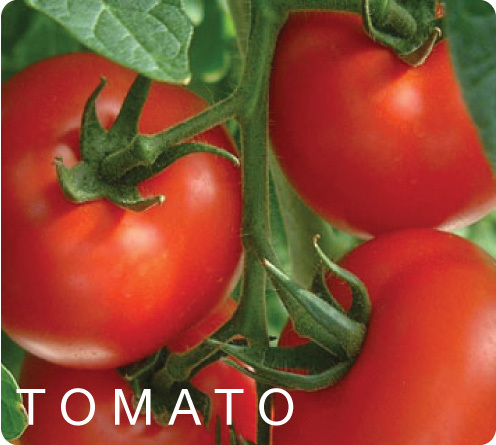 Due to potassium and vitamin B, tomatoes help to lower blood pressure and to lower high cholesterol levels. This could help prevent strokes, heart attack and other heart problems. Various studies have shown that because of all that lycopene in tomatoes, the red fruit helps to lessen the chances of prostate cancer in men, and also reduces the chance of stomach cancer and colorectal cancer. Lycopene may help stop the growth of cancer cells. Tomatoes have a fair amount of vitamin K and calcium, both of which help bones and bone tissue.